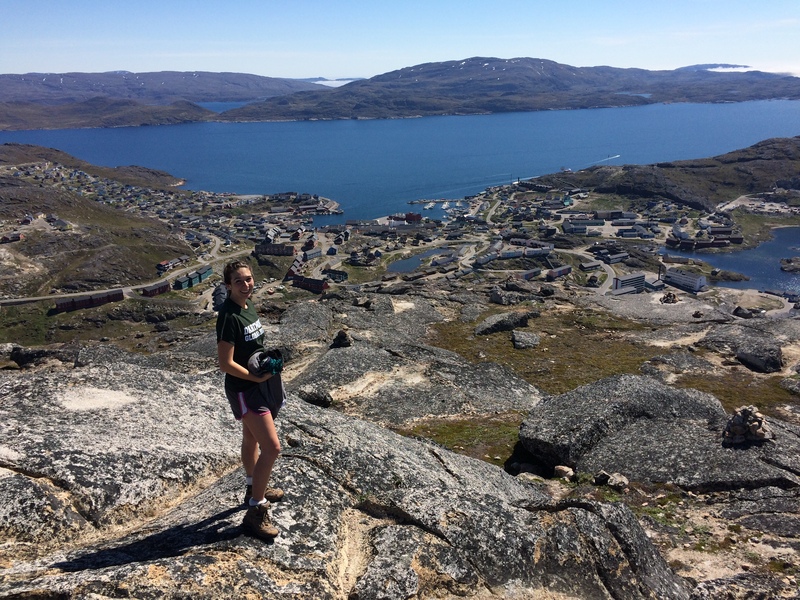 This summer, Sarah Bennett, Zohra Aslami, Ulunnguaq Markussen and I worked in collaboration with Allorfik, the substance use treatment arm of the Greenlandic Ministry of Health, on a health policy research project in Greenland. Our task was to collect information regarding available treatments for cannabis use in youth populations, especially rural, Indigenous, and Arctic populations, and to determine which programmatic elements and delivery methods from our research would be applicable in the Greenlandic context. We made these assessments by conducting in-country interviews with psychiatrists, social workers, teachers, and others who had experience working with youth. The culmination of the project was a health policy brief delivered to the Greenlandic Ministry of Health. Funding was graciously provided by the John Sloan Dickey Center Global Health Initiative. Thanks to the Global Health Initiative Internship Program, I spent my summer in Bogotá, Colombia, working with the Pontificia Universidad Javeriana and the Center for Technology and Behavioral Health at Dartmouth College, on a mental health research project. Mental health disorders are increasingly recognized as a major cause of the global burden of disease. In Colombia, 8 out of 20 individuals have a lifetime prevalence of one or more mental health disorders. Depression and substance use, often coupled with other mental health problems resulting from endemic violence in Colombia, are striking concerns, but only 11% of people with a mental health disorder receive mental health care. To address this disparity, the Center for Technology and Behavioral Health (CTBH) at Dartmouth College and Pontificia Universidad Javeriana have partnered on an implementation research project titled “Scaling Up Science-based Mental Health Interventions in Latin America” (also referred to as Project DIADA). The project proposes to: (1) harness mobile behavioral health technology for mental health (with a primary focus on depression and a secondary focus on problematic alcohol and other substance abuse), (2) launch new workforce training and service delivery models (including the integration of technology into service delivery), (3) launch and evolve an integrated data management system for systematic data tracking and outcomes assessment, and (4) launch and grow a learning collaborative of organizations integrating mental health into primary care. The project will be launched at multiple primary care sites in Colombia, with a plan to inform subsequent adoption in other Latin American countries, including Chile and Peru. My internship specifically focused on supporting the initiation of Project DIADA in Bogotá, Colombia through four major activities: (1) collecting time-driven activity-based costing data at San Ignacio Hospital, (2) coordinating the development of the regulatory binder and other regulatory documents, (3) conducting a systematic review on the effectiveness and cost effectiveness of the integration of mental health services in primary care in low- and middle-income countries (LMICs), and (4) mini literature reviews to help inform the development of the study. I worked primarily with physicians and researchers at Pontificia Universidad Javeriana in Bogotá, Colombia and at the CTBH at Dartmouth College, but also collaborated with study personnel in other regions of Colombia (Boyacá and Tolima), as well as the National Institutes of Mental Health in Washington, D.C. It was a fantastic learning experience to be a part of Project DIADA while its many activities were in the development phase. I learned about the challenges and work required to build a team, research infrastructure, and study in a LMIC from the beginning stages. I think that the most challenging, but also most rewarding, part of my experience was working on a project that was still in the planning phase. We experienced unforeseen delays and had to iron out many logistics, but I enjoyed being flexible throughout the internship and helping on a variety of tasks as needs arose. 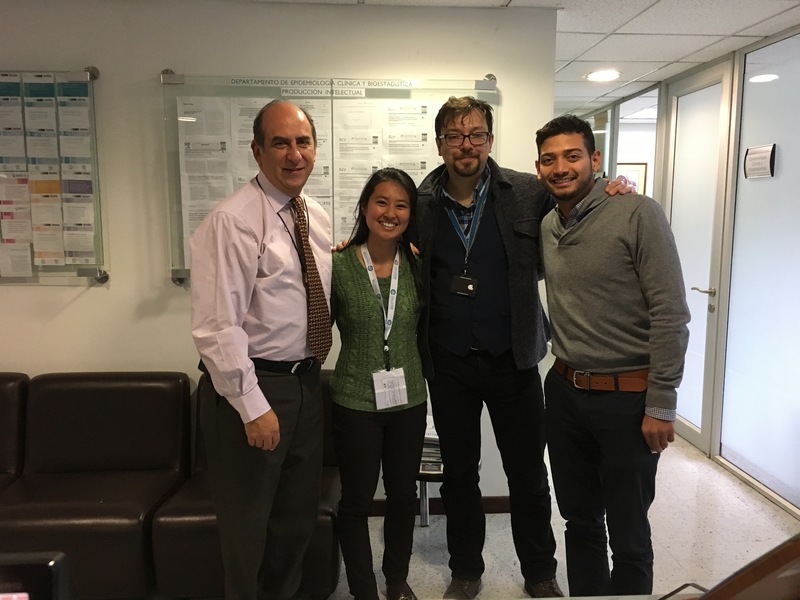 The team at Javeriana was supportive, giving me both time to adjust to the work environment and opportunities to pursue the parts of the project that I found most interesting. I developed close relationships with the Javeriana team and am thankful for my coworkers for being wonderful hosts. They often invited me to activities outside of the office and introduced me to many local spots in Bogotá. I hope that the work I completed this summer helped better position the Project DIADA team to initiate the implementation phase in the fall, which will ultimately lead to patients in Colombia having better access to quality mental health care. Personally, the experience reaffirmed my interest in conducting implementation research on chronic conditions in LMICs in the future. I am happy to say that I will continue working with the Project DIADA team during my second year of medical school. We are conducting a systematic review on the effectiveness and cost effectiveness of the integration of mental health services in primary care in LMICs, and I will be helping with this process into the spring. I am grateful for the opportunity to continue working with the Project DIADA team and learn more about mental health care in LMICs. During the summer of 2017, GHS Scholar Soham Rege experienced first-hand the magnitude of efforts involved in disaster preparedness and response in Peru, a country particularly vulnerable to natural disaster. From experiencing active response to large scale fires to observing earthquake monitoring, he saw the collaboration of myriad groups including the ministry of health, public hospitals, firefighters (bomberos), and more. 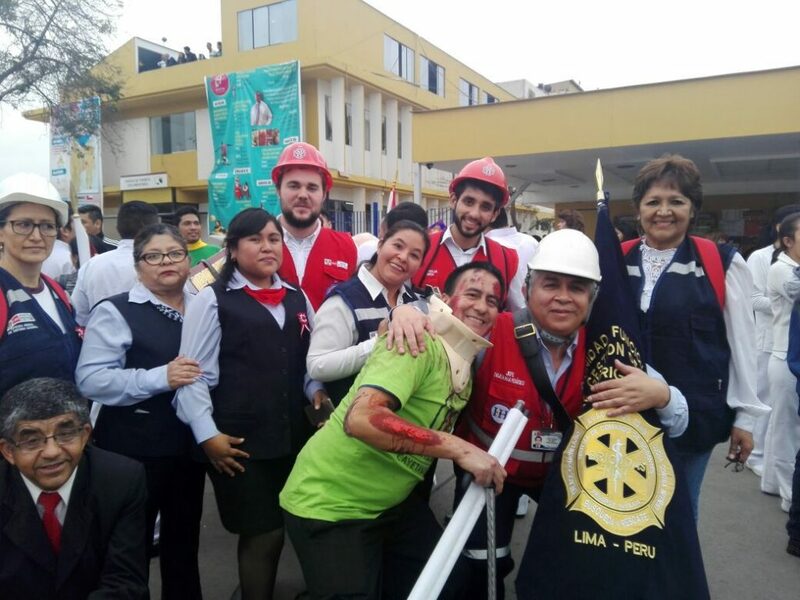 In collaboration with Dr. Raul Acosta at Hospital Cayetano Heredia, his project aimed to develop a Peruvian-based disaster response team by determining a profile of potential volunteer characteristics and using those findings to help guide future recruitment. This work was a direct response to the 2017 floods in northern Peru that had devastated the region and left thousands homeless. Through focus groups and a survey based methodology, he determined key demographic factors and attitudes shared by potential disaster responders. His work will be used in the coming months to design and develop a DMAT-style disaster response team based out of Lima, Peru for future disaster response.